In December of 1975 my father and mother sat in a hospital room holding, loving, and examining their newborn baby: me. My mother named me Angela Joe because it reminded her of a song she liked, “Angie, Baby.” When the nurse at the hospital asked my mom to write down the desired spelling she went with, “A-n-j-i-l-a (Angela) J-o-i (Joe).” When I imagine this hospital room scene, I think of my mother wishing for a reality more exotic or more fantastic than what she was facing—anything other than being sentenced to life as a mother at the age of sixteen. My theory is that she spelled my name in this strange way so that she could feel worldly—though we lived in a trailer park. It hurt her feelings, but I always joked about the spelling. I called it “Trailer Park French.” My dad called me Anj. I don’t recall my dad having buddies or going out with acquaintances. He didn’t seem to have any friends. He was always a little detached, but as a child, I knew that he loved me. My favorite thing to do with my dad was fix stuff. If I could connect with him on this level, I could hang out with him all day. My siblings and I knew how to change a flat tire before we could drive, knew how concrete was made, and had a vague idea about how to frame a house. From laying brick and changing brake pads to fixing the air conditioner, he could do anything. Except button his sleeve. 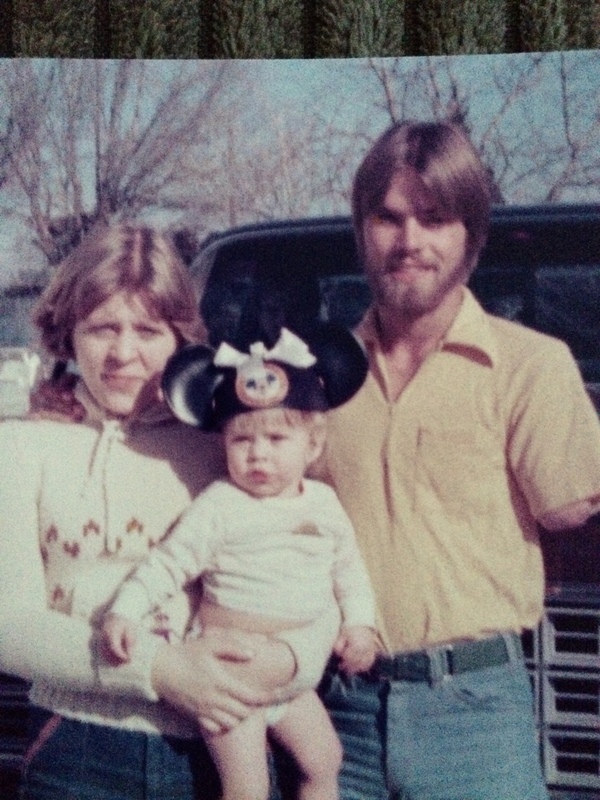 My dad lost his arm in a work accident when he was a teenager, three months after I was born. As I got older I understood that my dad had made some choices that were poor. My Grandpa Bud, who owned “Bud Webber Drilling,” had just started teaching my father how to work and maintain a well-drilling rig. I know that the two of them would have been like soap and oil, my father a smooth sauntering oil swirling in and out of any obstacle that came up matched with Grandpa Bud as a soap that halted progression in its place, creating a wall so thick the oil could no longer move. It was through this relationship that my grandfather trained my dad to become his employee. Believe it or not, this is one of my more fond memories of my Grandpa Bud. He called me his “dirty, rotten brake pedal” for the rest my childhood. My father was still getting acquainted with the huge well-drilling machines when Grandpa Bud decided that he needed my dad to go and work the rig by himself for the day. My father wasn’t ready for this step and in his soft voice told Grandpa Bud so. I’m sure they discussed this for a time, and I imagine my father looking at the ground as Grandpa Bud yelled that he was as ready as he’d ever be. 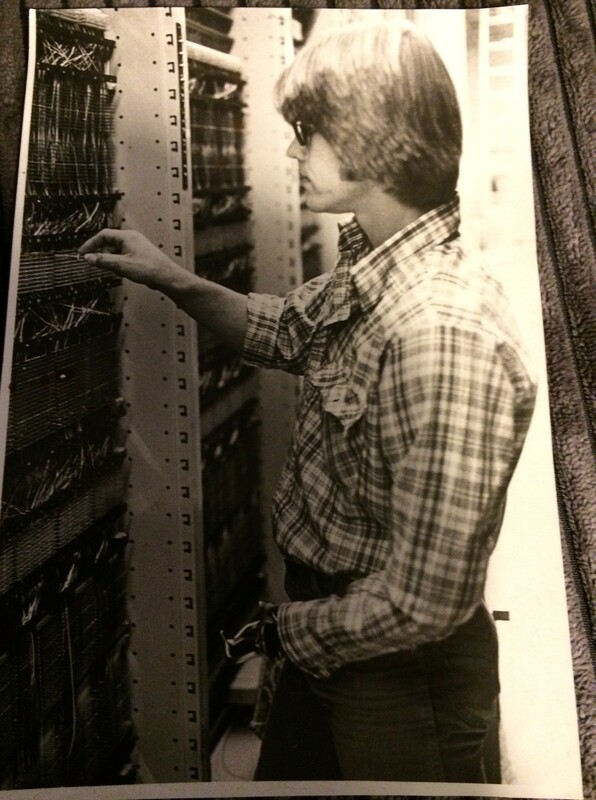 My dad told my grandfather that he didn’t know enough to run a machine alone, but whether my dad was ready or not, it was decided that Dad would go out alone on that day. I was not there. I have never even seen a well-drilling rig being set up or prepared to run. I stopped once at a construction site with a well-drilling rig and asked if they could show me how the rig worked, but they explained that the kind of rig my father used, the kind with cable tooling, isn’t really in use today, thirty-two years later. The water-well rig was driven to some flat, undeveloped piece of Utah land, not far from Salt Lake City. I imagine my father starting up the machine, putting the bit in, letting the bit touch the earth, preparing to pound out a deep hole in the sand and rock through steel force. I am sure that everything was going fine when my father was lulled into a satisfaction that he was, really, capable of doing what he thought he was not yet prepared for…so that when a rope came loose and posed a problem that my father had not yet faced or learned how to handle from Grandpa Bud, I imagine my dad stared up at the machine and took the time to figure where the rope may have come from, where it went back to, and how he could most easily and effectively return it, having enough esteem to believe that he could be successful. My father grabbed the rope. Then the rope grabbed my father, wrapped tight around his arm, picked my father up and swung him above the machine then back down again, slamming him into steel and earth, again and again until my father, who I imagine could no longer take the pain, passed out. When my father awakened, he stared up at the rope swinging above him, triumphant and still holding tight to his arm ripped from his body. Carefully my father removed the belt from his waist with the arm that remained, though it was broken, and pulled himself up. Pushing past the pain of several broken ribs, he began to place the belt around what remained of his arm to use as a tourniquet and held the belt tight with his mouth. My teenage father climbed into his truck and drove carefully from the middle of nowhere to the nearest house. He pulled into a driveway at the same time the lady of the house returned from shopping, arms full of bags. This strange woman dropped her groceries in the driveway, gawking at the armless teen, his wound gaping and raw. “I’m okay, just call 911.” The woman reached out a shaking hand, “You need to lie down. Come inside and lie down.” She started to direct my dad toward the front door. Dad opted to have the arm that must have been retrieved from the accident scene, thrown away. With a family to support and a hard life ahead of him, he didn’t have space for sentimentality. My dad quickly learned to adjust his old life into a one-armed reality, playing guitar with his arm and foot and engineering his dirt bike’s handlebars to be used for only one arm. He got a job working as a lineman for AT&T (much safer than well-drilling) and when AT&T went on strike, he took care of our family by laying brick and doing construction. I remember that when Dad’s closet was opened, it had a slight but lingering smell of latex from the synthetic arm that he housed in the bottom of his walk-in closet. It was his left arm, and if you took the time to study it, the third finger on the hand kept my father’s wedding ring. My father preferred the hook when he used the prosthetic arm and preferred to use no prosthetic over anything. His accident didn’t stop him from pulling my drowning sister out of a rapid Montana river. When I was disrespectful to my mother, my dad used his asymmetrical stature to wrestle me down to the floor, letting me know that my behavior was unacceptable. He made us peanut butter and jelly sandwiches and taught each of us to drive. Most important to me, my father only used only his one arm to hug me and I never questioned his ability to love and protect me. Today, years later, as my Grandpa Bud barrels his way through a room yelling out every word, I find that the image of my father sitting quietly in a corner tying his shoe with his hand and teeth appears so much more powerful. It is my father’s legacy of perseverance and resilience that I long to imitate. 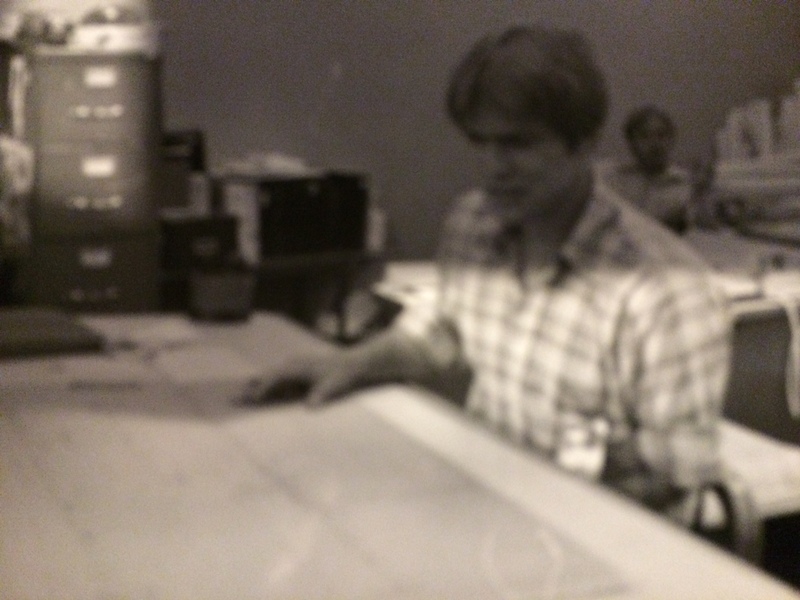 The author’s father at work. Anjila Joi Gaudet is a home-based case manager in the small town of New Albany, IN. She holds an MA in Creative Writing and an MFA in Creative Nonfiction. She occasionally teaches journaling and memoir at local women’s homeless shelters in the hope of addressing some of the needs in the community. To read more by Anjila click here.